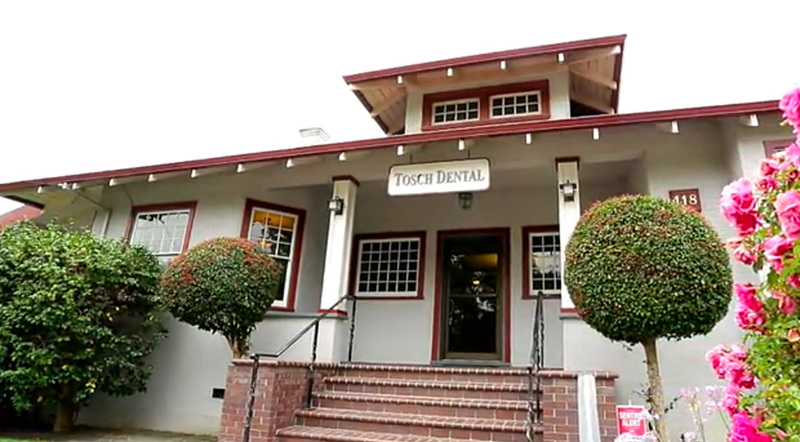 Tosch Dental is dedicated to providing patients with the utmost, modern dental care. Our office provides a full range of dental services, including restorative, preventative, and cosmetic treatment. Having the skill and expertise to treat both children and adults alike, we cater to patients of all ages. In addition to your personal at-home dental routines, preventative dentistry is an important component of long-term oral health. Preventative care is essential in the prevention and detection of a range of dental ailments and diseases. At Tosch Dental, we will help you and your family develop the habits to keep your mouth healthy and to recognize the warning signs if something develops. Cleanings: Regular cleanings are recommended bi-annually for most health patients. This includes removing plaque, stains, tartar or calculus, and then polishing and flossing the teeth. X-rays: Depending on your dental health, X-rays are performed annually, bi-annually, or as needed. X-rays help your dentist assess the structure of your teeth and the health of your mouth. X-rays help reveal abnormalities that are hidden to the naked eye. Exams: Typical dental exams involve assessing the health of your mouth and teeth, and checking for gum disease and cavities. During an exam, this is a chance for you to raise any concerns with your dental hygienist or dentist, and receive and recommendations on how to improve your dental health. 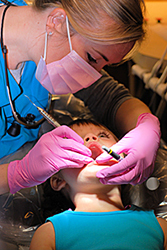 Treatment Plans: Ideally, you will be able to maintain and preserve a healthy smile for life, but things happen. When it comes to diagnosing and treating dental ailments, we will go through the many treatment options with you, so you can effectively restore your oral health. If you are missing a tooth, have tooth decay, or are need of dentures, Tosch Dental provides a range of restorative dental solutions. Restorative dentistry helps to maintain healthy tooth structure in your mouth, and return aesthetic quality to your smile. The added benefit of choosing Tosch Dental is simple: all of our tooth restorations are made on-site, in our in-house lab. This means we are able to not only provide custom treatment to all patients, but personally hand-crafted tooth restoration services. Fillings: Over the years, tooth colored fillings have improved and now feature better stability, strength, and color. With Tosch Dental, a tooth filling will help you have a more natural looking smile, but it also aids in preventing broken teeth in the future. Tooth fillings help treat dental decay, and are used to restore the structure of a tooth after it is broken or decayed. 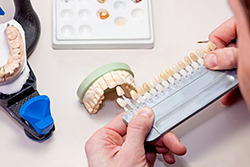 Composite material is carefully matched to existing tooth structure, which helps the tooth look more natural. Crowns: Tosch Dental offers the best options for patients who are in need of a crown. If one of your teeth is in an advanced stage of tooth decay or is damaged severely crown may be necessary. This is especially true if the tooth cannot be fixed with bonding material. Crowns help restore function, esthetics, and strength to your teeth, by covering the remaining tooth structure. Crowns can be made from several materials. What your crowns are made of depends on what part of your mouth needs to be restored. Bridgework: If you have lost teeth due to injury, gum disease, or decay, bridgework can be utilized. If you do not fix a missing tooth, it can create larger problems for you and your dental health. If teeth next to a missing tooth or teeth begin to shift, it can look unsightly, and result in pain and discomfort. Bridges help close gaps in your mouth, and act and look just like your natural teeth. Bridges are permanently cemented and will help maintain the positioning of the rest of your teeth. Implants: Dental implants replace your tooth roots, and give removable or replacement teeth a strong foundation. Implants are fused to your bone, and help patients maintain a natural looking smile. Implants are used to replace missing or individual teeth and help your maintain a natural, healthy tooth structure. Complete or Partial Dentures: If you are missing teeth and want to restore a natural looking, healthy smile, dentures may be a good option for you. Complete dentures are used on patients who are missing all of their teeth, whereas partial dentures are available to patients who still retain some of their natural teeth. Dentures help restore function, beauty, and health to a patient's smile. Better yet, they are custom made to fit comfortably and snugly within your mouth, and help restore the ability to eat and speak. Properly place dentures also help prevent facial sagging. Root Canals: If a tooth has been affected by severe trauma, or if an infection has reached the pulp of the tooth, a root canal is needed. 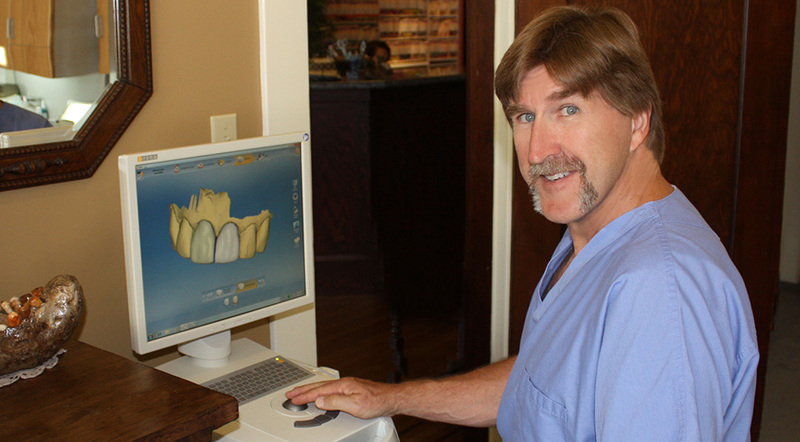 Dr. Tosch performs the majority of his own root canals, which sets him apart from other dentists. This means you will not have to go to an outside specialist to receive treatment and your restorative crown. The whole process can be completed in 2 appointments, as opposed to the 3 that patients typically would need to make if they were going to a general dentist and a specialist. Cosmetic dentistry refers to any dental procedure that improves the appearance of a person's gums, teeth, or bite. There are many procedures that fall under this category. Tosch Dental is proud to offer our patients a variety of options to help them restore and create a bright, long-lasting smile. Veneers: Veneers are custom-made porcelain or ceramic laminates that are applied directly to patient's teeth. This procedure is almost undetectable when applied to a tooth because veneers take on the natural discoloration of your teeth. If you are looking to correct misaligned or crooked teeth, porcelain veneers are a good option. Porcelain veneers are also an excellent choice if your are looking to close gaps between teeth and have an option that is resistant to discoloration from dental bleaching. Bleaching: The effects of smoking, coffee, tea, and other causes of teeth discoloration will slowly disappear after you begin a teeth whitening treatment. If you would like to see if you're a candidate for teeth whitening, we invite you to schedule a consultation with Tosch Dental today. We can help you bring out a more radiant, white smile. 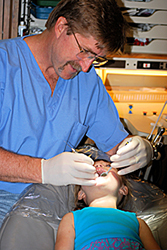 Orthodontics: Tosch Dental provides a range of orthodontic solutions for both children and adults. To find out more about how we can help you improve and straighten your smile, we invite you to contact us today.